Oh, you’re gonna thank me for this one! If you’re a Twitter freak (read = addict!) like me and you don’t already know this, you’re gonna love this one. When you use twitter usernames at the beginning of a tweet it will ONLY appear in the twitterfeed (of your followers) to that person you’re tweeting to AND all those that are following BOTH you. OK, read it again because this took me awhile to actually grok. @marciliroff you are such a great social media teacher thnx SO much 4 2day! The ONLY people (of your followers) that will see this tweet in their twitterfeed are ME and all the folks that are following BOTH you and me. Thanks SO much @marciliroff 4 being such a great social media teacher! Loved our session 2day!
. @marciliroffyou are such a great social media teacher thnx SO much 4 2day! If you put a “.” BEFORE the @username, everyone who is following you can see it. 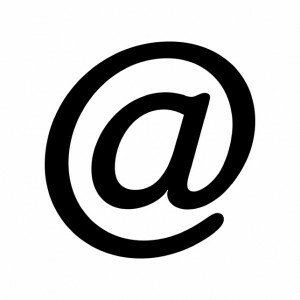 Now, here’s the important part, if you and I were just goofing around back and forth and bantering – I’d reply to your initial tweet and put your name FIRST so that it wouldn’t end up clogging all my followers’ twitter feed with mundane crap. It drives me absolutely crazy to see people using Twitter like their email or IM and having a chat back and forth. If I’m following BOTH of them, I have to see their ENTIRE conversation which should be reserved for their personal space. I see a lot of people lately, responding to people and RTing the original tweet with their comment first – thus we get to see every friggin’ thing that they’re responding to while they’re doing their “replying housekeeping”. Oh joy! It was great! RT @JoeBlow so @MrRockStar how was your show? Get it? Got it?! Good! Get on the Technology Train….or get left in the dust! 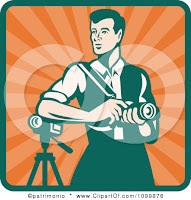 In my never ending need to connect with actors and film makers across the globe, I recently joined a group on Facebook called Seattle Film Makers and Actors. An interesting discussion thread cropped up last night. The online company, Cast It Talent, had posted an open call notice for 18-20 yr olds for a new feature film from a “major studio”. Cast It Talent posted this notice in the Seattle group on Facebook. It’s free to join and submit yourself for this open call. In addition to casting, I’ve been private coaching actors in person and thru Skype for the last few years. Since some of my clients are auditioning for this movie, I know it’s Paramount Studios and their Exec. VP of Casting – Joseph Middleton – is casting it. Because I use Cast It for my casting needs, as do most of the major casting directors across the globe, I tried to appease their fears by letting them know this notice was legit. Since I’m very involved with actors worldwide, I’ve seen a shift lately in terms of an abundance of “too-good-to-be-true” casting notices, sites that claim that if you pay their membership fee they will introduce you to casting directors and guarantee that you will book jobs, and online “classes” that guarantee you fame and fortune. There’s definitely a lot of opportunities to separate actors from their hard-earned money. I was actually pretty impressed with this Seattle group who’s red flags were raised by this notice. They were done getting taken advantage of by these scams and were circling the wagons. Years ago, and I mean many years ago(! ), when I was casting a movie and I needed to do a search, the studio would literally send me out on the road. I remember a film I did called Return to Oz which was the next book in the series of books written by L. Frank Baum which followed Dorothy’s journey. I had to find the next “Dorothy”. Yikes – big task for a little lady. During the week I would work on the other films I was casting and on Friday night I’d take a red-eye to another city across the U.S. and do a HUGE open call. This went on for about 6-7 weeks. Beyond how friggin’ exhausted I was after working 7 days a week for 7 weeks, the financial hit was huge on our budget. First-class round trip airline tickets, transportation to and from airports, $100 per diem, first class hotel, publicity in each city, rental of a hall big enough to accommodate 100s of people, staff….times seven. You do the math. As much as I liked going out on the road and meeting new people, the studios and producers quickly realized they’d save a lot of money and time by hiring local casting directors in each city to do this preliminary search and open call. They’d hold the open call, go out onto the streets, scour the schools – and present their finalists on tape and I’d go through all of these submissions and cull them down to the finalists. We’d then fly-in those that made the final cut. Since the advent of the Internet – everything is faster, more streamlined, and less expensive to do a search like this. Because everyone has a video camera these days, we have come to depend on actors to be proactive and be able to self-tape their initial audition. Yes, this is the industry standard these days. When I’m casting a project, I get links sent to me of auditions from all over the world. And like the title of this blog – if you aren’t comfortable with this technology yet, you’d better get on board or you’ll be run over by the train. When I cast Mr. Popper’s Penguins, I had an actress in mind for the role of Jim Carrey’s funny assistant, Pippy. I had seen Ophelia Lovibond in Nowhere Boy and knew she’d be perfect for this woman who alliterated her “P’s” and tried to keep Carrey’s character on track. It was a tough role and we read hundreds of women across the country. I asked Ms. Lovibond to put herself on tape so that I could show my team. What I didn’t know is that she was somewhat famous for her self-taped auditions. A total perfectionist, she got her actor friend to read with her off-camera and taped a flawless audition. My director, Mark Waters, immediately fell in love and I hooked them up on Skype so that they could “meet”. Because Waters is not at all gun-shy in the new technology department (hell, he had all of his pre-production meetings with his Director of Photography Matthew Libatique on Skype as Libatique lives in London), he Skyped with her and they set a date for him to direct her through Skype while she re-taped her audition. Waters was “virtually” in the room with her and directed her while she had her “call back”. I sent her new audition to the studio and she was hired. All of this occurred without her ever being in the room with the creatives. At this point I should warn the reader that I am not advocating hiring an actor whom you’ve not met face-to-face. This casting situation above was unique (in that she lives in London) and the fact that Lovibond had already established herself by doing several films assured us that she was a consummate professional. As much as I love technology, I’m still an old-school gal and along with seeing your work, I need to get a personal “hit” off of you by meeting you in person. Yes, there are thousands of actors in Los Angeles that would meet this casting description for the open call – but when we’re on the search to discover someone, we want to actually look under every rock, shake the trees as it were, and truly find someone new. The technology we’re using to have the actor self-tape is merely a tool to reach a much wider audience. Actors nowadays are so much more in control of their destiny by all of these tools. When I started out in casting, actors were literally waiting for their phone to ring….waiting for their agents to call them with an audition. Now, an actor in the middle of the country can learn how to self-tape their audition and be more in control of the final product that they’re sending out. I wrote last week with some great tips to help yourself self-tape. It’s had all kinds of hits as actors are passing it around like candy. I hope you’ll take advantage of it. And hey, if you’re all thumbs about this, I’m sure you know at least 5 people who can help you set things up and all you have to do is study your lines, make some great character choices, and do your audition like you’d normally do – except this time you can do it over and over (and over again) until you get it right and then send it to me! As many projects are asking for you to self-tape your audition as a form of pre-screening, many of you have asked how to self-tape your auditions. For some, the mere idea of this can be daunting. I urge you to get comfortable with doing this. It’s not as hard as it may seem. If you think about it, you’re actually the actor, director, and producer of your own audition! You are finally in control of your audition! Here are some instructions that you should follow. Pay attention to ALL of the instructions that the CD or website gives you. If they tell you to do it a specific way, DO IT THAT WAY! Know the material. Be as off-book as possible so that you can interact with your scene partner (who’s off-camera). Try to find a good reader – it’ll really help your audition. It’s ok to hold your sides, but we don’t want to see you literally reading off the page. 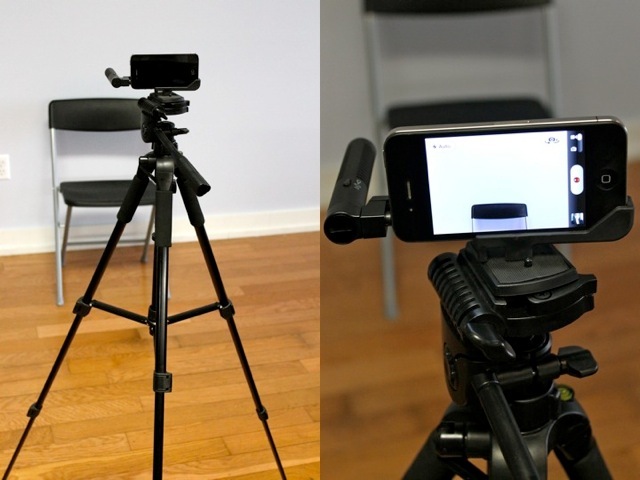 Check out my article “Self-Taping Using your iPhone” if you’re going to use your phone. The best thing is to use natural light. Make sure you’re not shooting TOWARDS a window or the light, but that the natural light is actually lighting YOU! If you don’t have natural light, then get some appropriate lighting. You can actually use lamps if you don’t have real lights. You can even use those wonderful large globe Chinese Lanterns (w/the white shades) – those throw a lot of nice soft light. Go onto YouTube and search for “3 point lighting“. You’ll get A LOT of videos how to do this. This will make your video look very professionally done and you can even do it on the cheap if you’re going to be doing this at home a lot. Go to Home Depot and get some “work lights”, and you can fashion a stand for them. One of my Twitter followers just sent me a link to Cowboy Studio which has inexpensive lighting packages. Make sure you “white balance” your camera before you start shooting. Many cameras these days have an auto-white balance. If yours doesn’t, check the instructions and figure out how to do it. In many cases, you can just hold up a white piece of paper about 5 inches in front of the lens and that’ll do the trick. 1. Find a quiet and well lit room. 2. Have the actor stand in front of a blank white, blue or grey painted wall. You can always use a plain sheet (no prints please). 3. Have someone other than the actor (the “reader) reading the supporting lines off camera. Do not attempt to do a scene by yourself unless it’s a monologue. Even then, have a friend operate your camera. 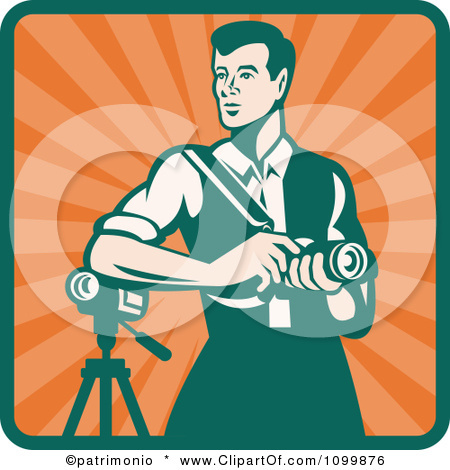 Have your “reader” stand RIGHT NEXT TO the camera – almost hugging the tripod. EYE LINE! This is very important. So often the actor is reading to a partner that is SO far away from the camera, all we see is his profile. Make sure the actor looks at the reader during the scene and not directly at the camera. 4. You want to frame CHEST UP – not too much head room. Make sure we can see your face. You should stand about 3-5 ft. from the camera. Some projects ask for a full body shot as well to include before or after you do your scene. 5. Camera should be at eye level or just slightly above, NEVER underneath your chin. 6. Record a test sample ﬁrst and see how it looks and sounds on the computer ﬁrst to make ﬁnal adjustments before taping the scenes. 7. When you are ready to record the scene, make sure the actor adds a verbal “slate” ﬁrst by saying their name, the city they are from and role they are reading for. I also like to know how tall you are. Make sure that your slate is a SEPARATE take from your audition scenes. Don’t just roll from your slate right into the scene – that’s an amateur move. Some CDs request a slate on a piece of paper w/the pertinent info. Just make sure we can READ IT! 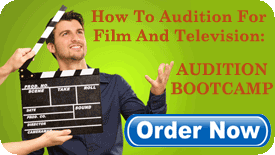 Edit your slate and your audition together into one video file. 9. Record the scenes 2 or 3 times(or as many times as you need), pausing between takes so that you can pick the best one once youʼve had a chance to review them. Only include your best take. 10. 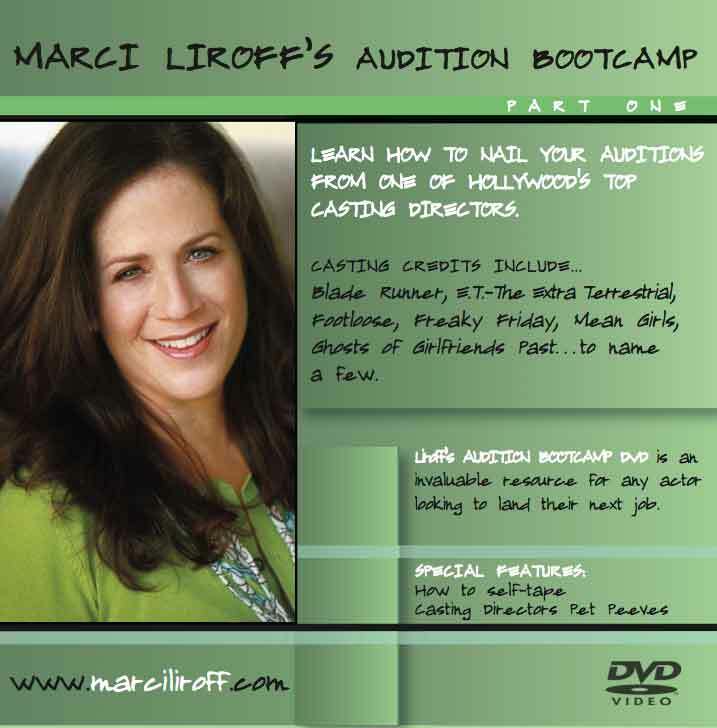 Make sure your audition is labeled with all your contact info clearly on the clip – you can do this before and after – it never hurts to be sure. This is very important. We need to be able to reach you if we want to call you back or give you re-direction. You can also self-tape from your webcam on your computer (a video camera is better, so ONLY do this if you have no other options). If you’re going to do it this way, I suggest you raise your laptop up a bit so that it’s not shooting “up” at you with an unflattering angle. You can also practice your upcoming auditions with your webcam and play them back so you can see what’s working and what’s not! There you have it! Have I forgotten anything? Please let me know what works for you in the comments section.